Ghar More Pardesiya Lyrics – Kalank: This is a latest song from the upcoming bollywood movie Kalank starring Alia Bhatt & Varun Dhawan. This song is sung by Shreya Ghoshal & Vaishali Mhade, composed by Pritam and written by Amitabh Bhattacharya. 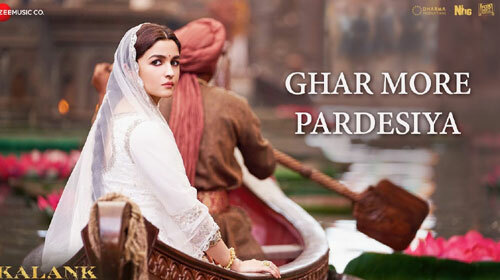 If you find any mistake in lyrics of GHAR MORE PARDESIYA LYRICS – Kalank song please let us know in comments.